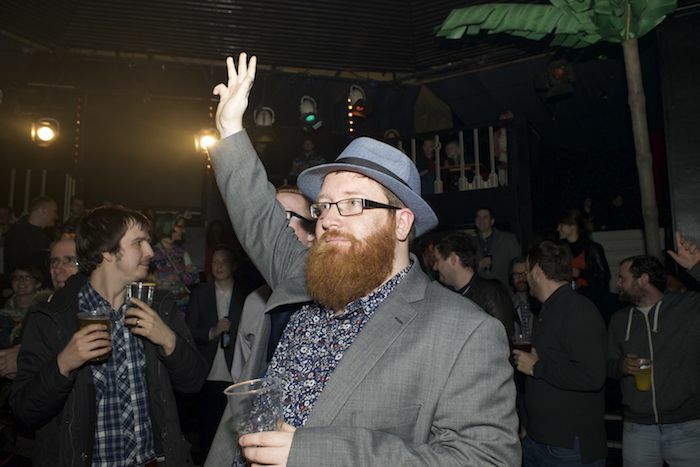 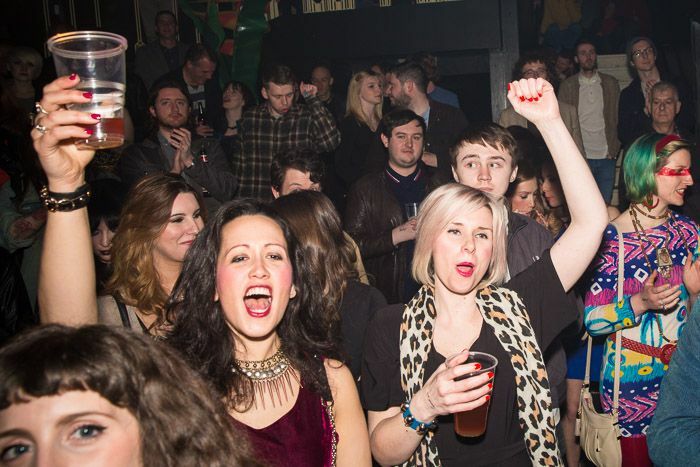 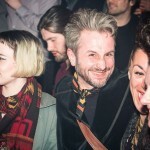 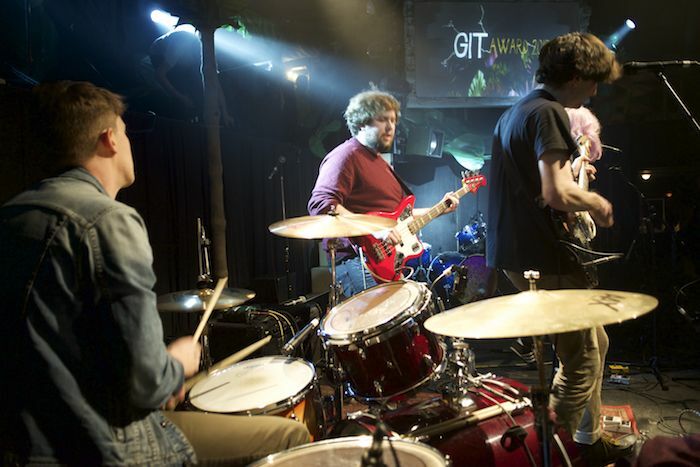 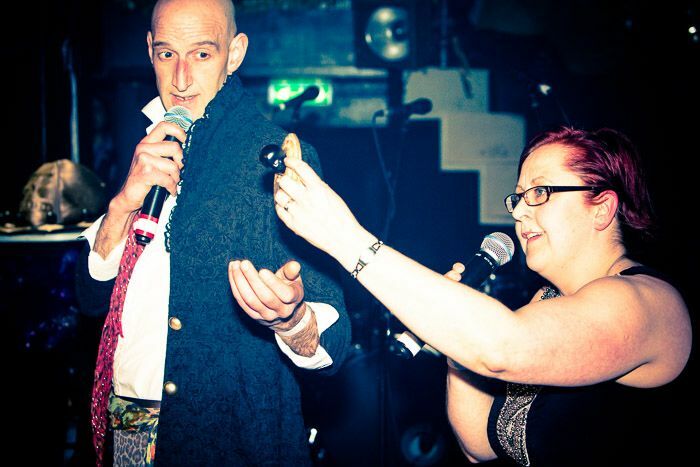 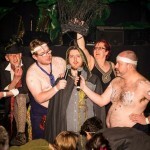 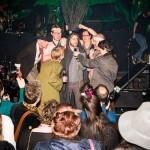 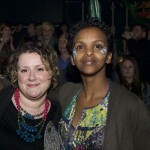 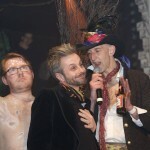 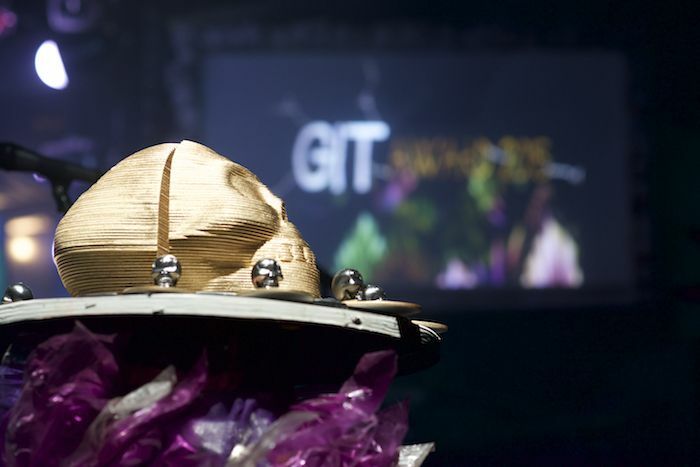 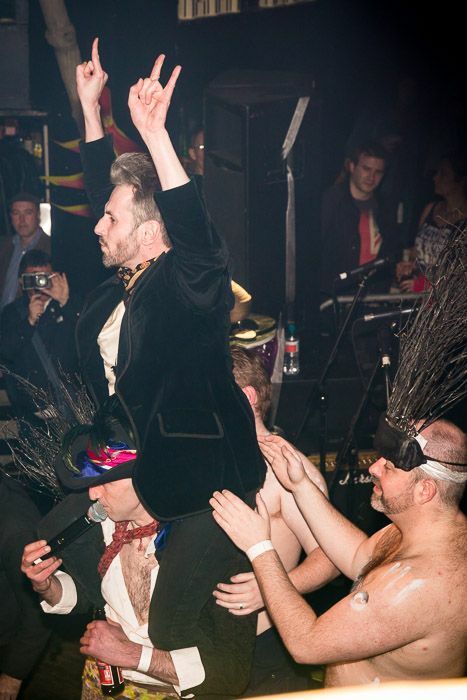 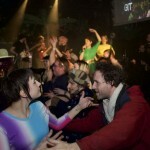 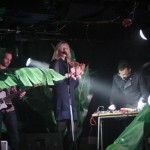 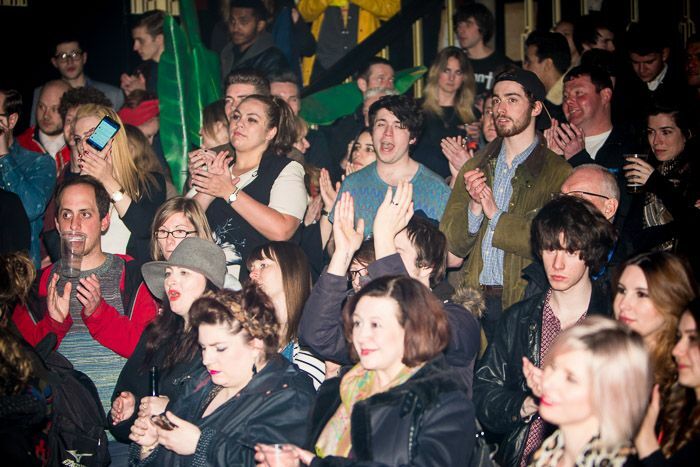 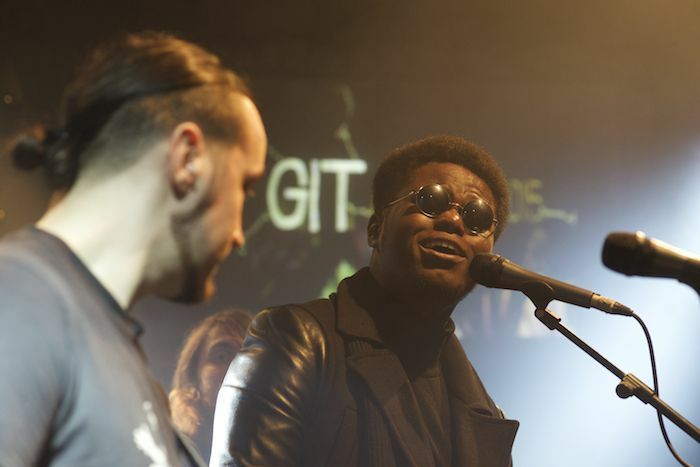 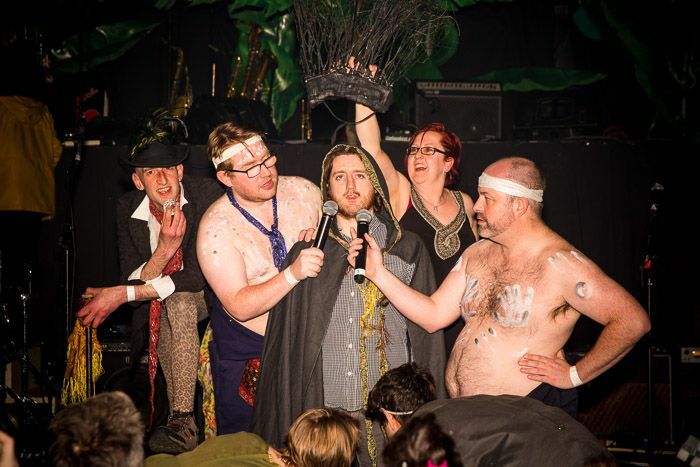 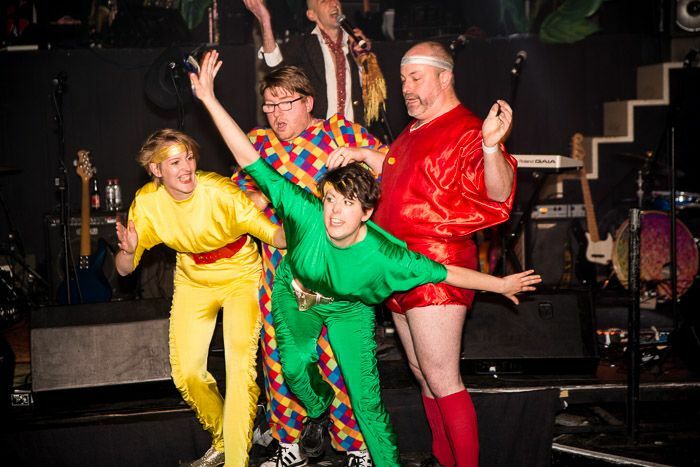 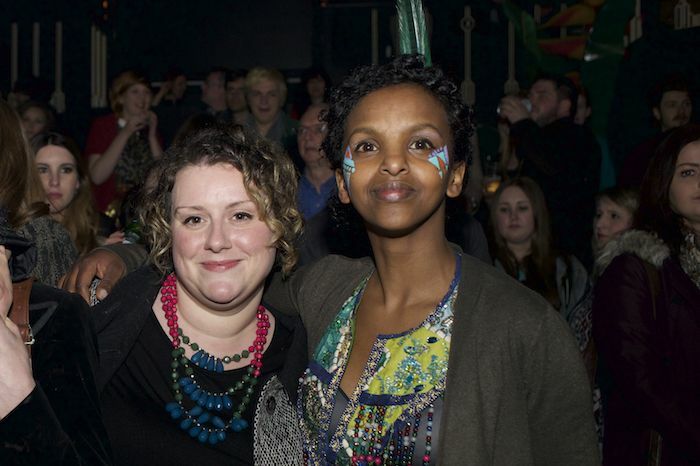 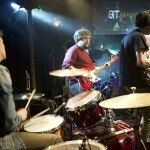 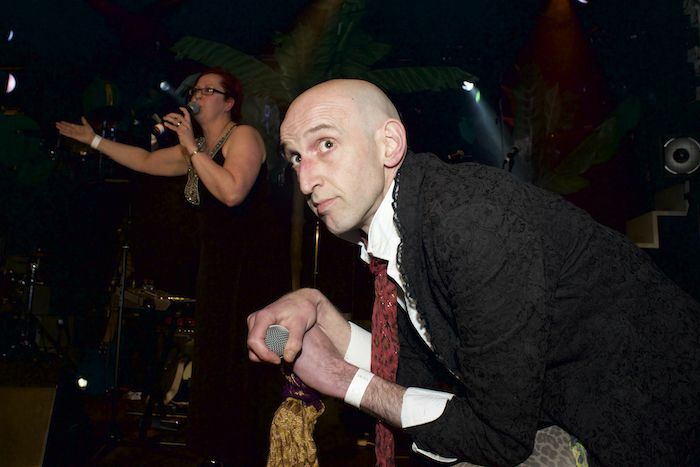 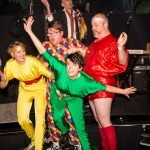 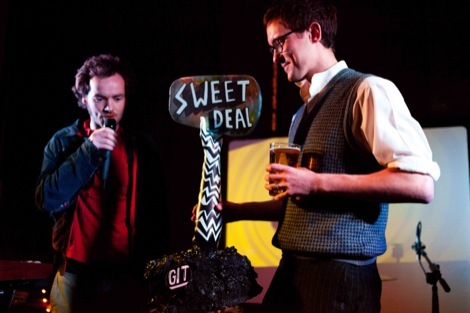 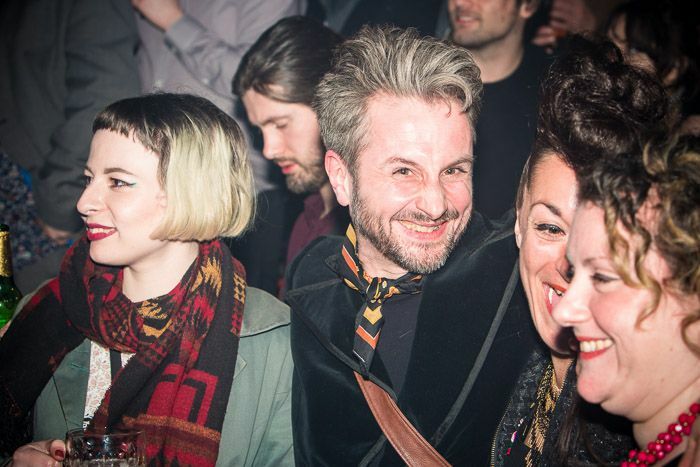 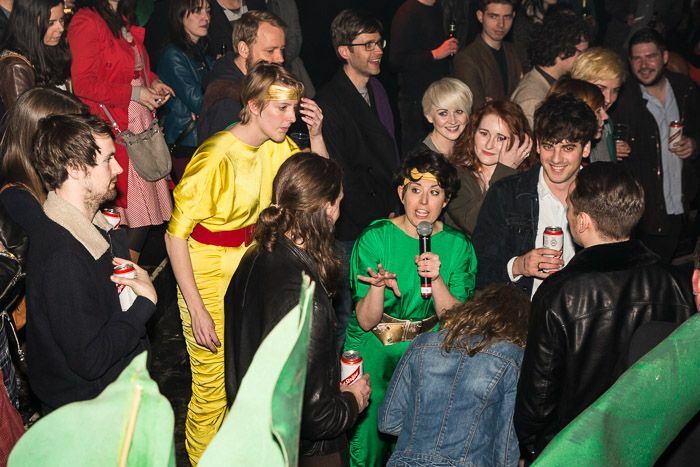 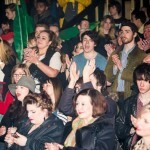 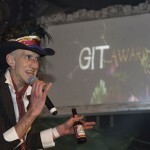 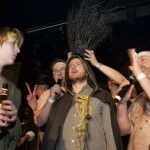 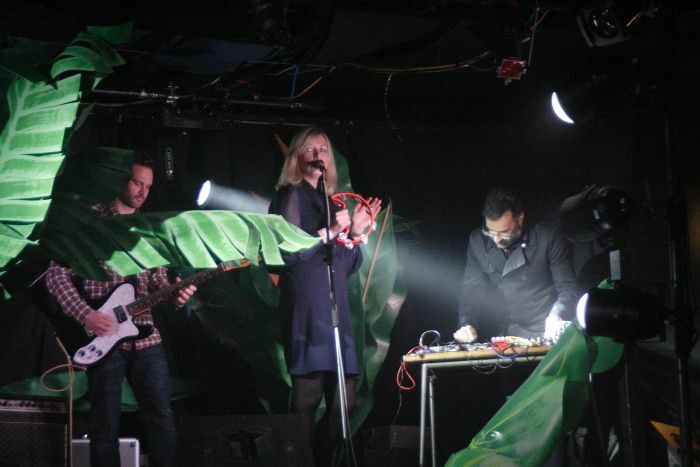 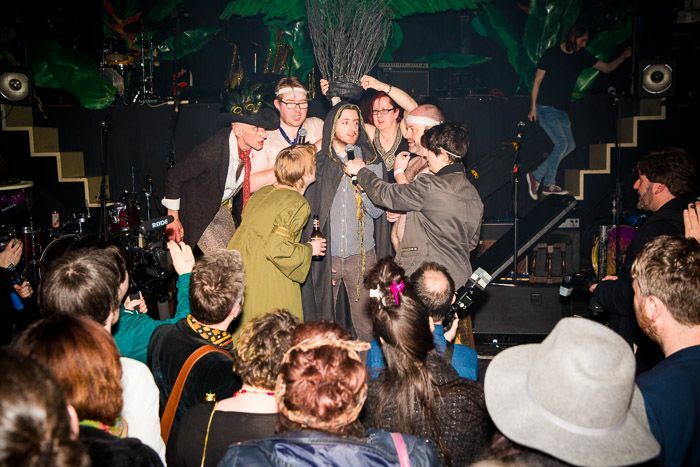 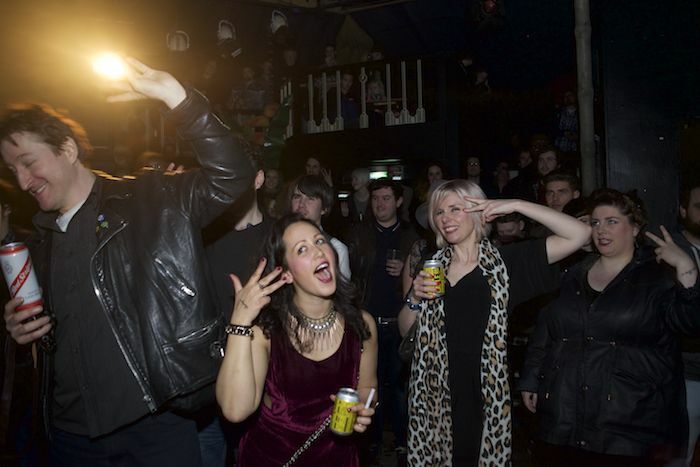 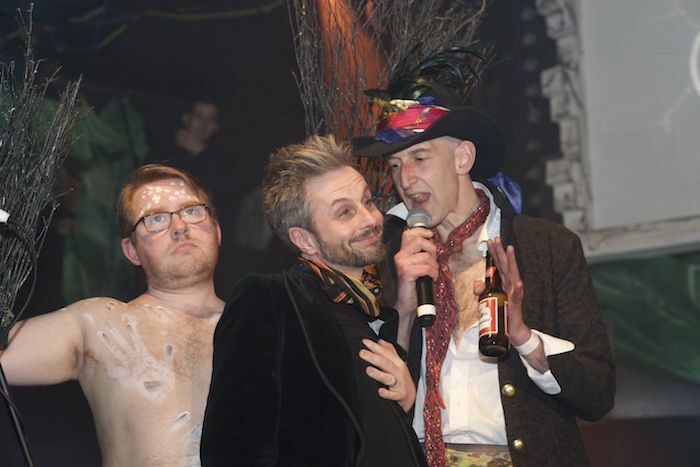 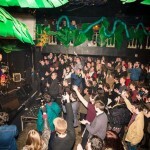 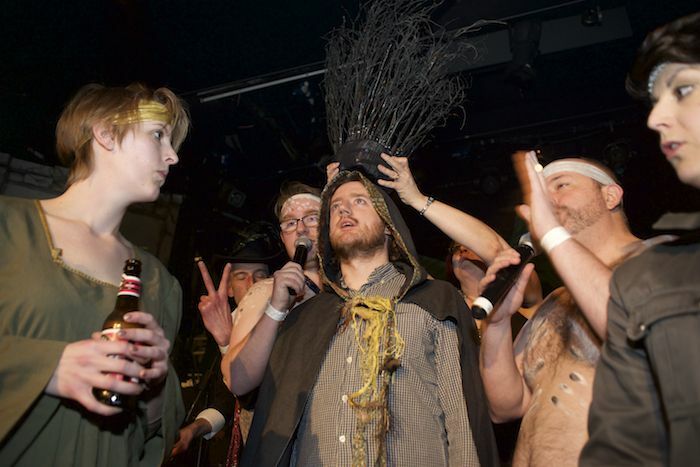 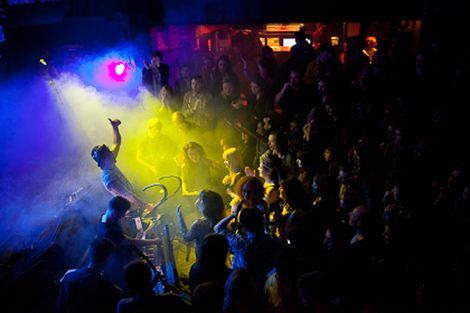 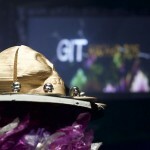 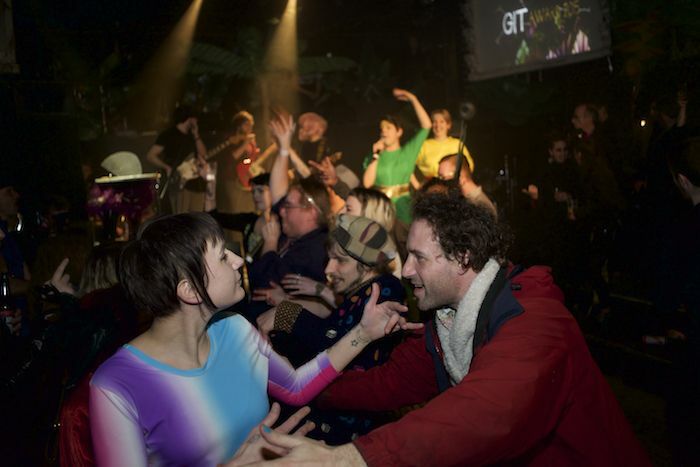 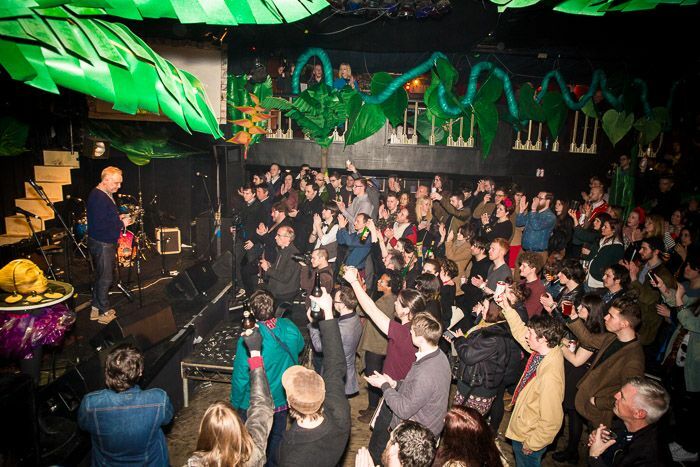 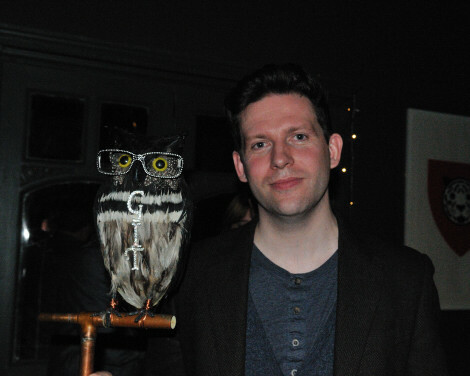 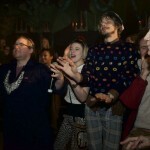 The GIT Award 2015 winners All We Are crowned at spectacular Kazimier ceremony. 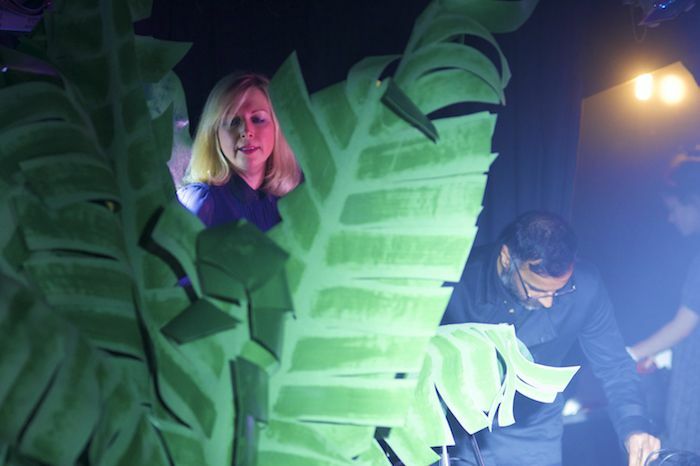 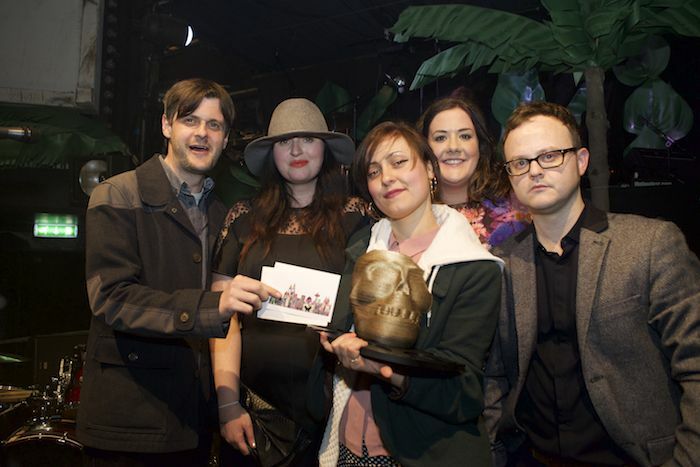 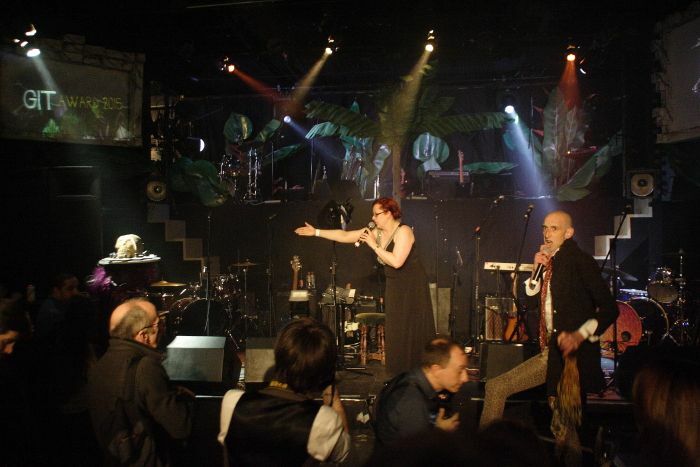 All We Are were last night crowned winners of the GIT Award 2015 in the incredible surroundings of an Aztec Jungle at the Kazimier ceremony. 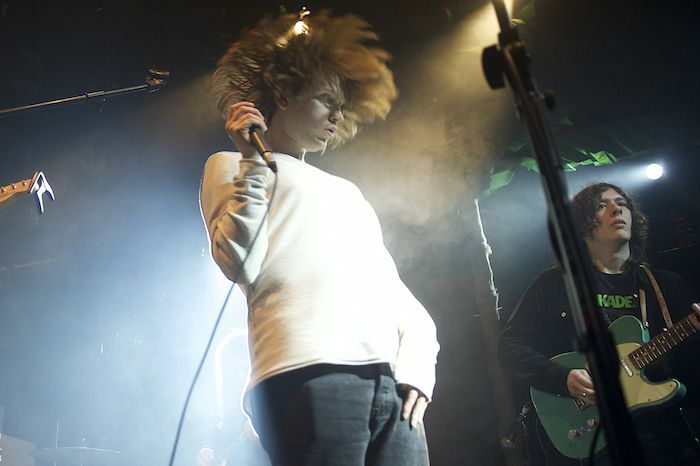 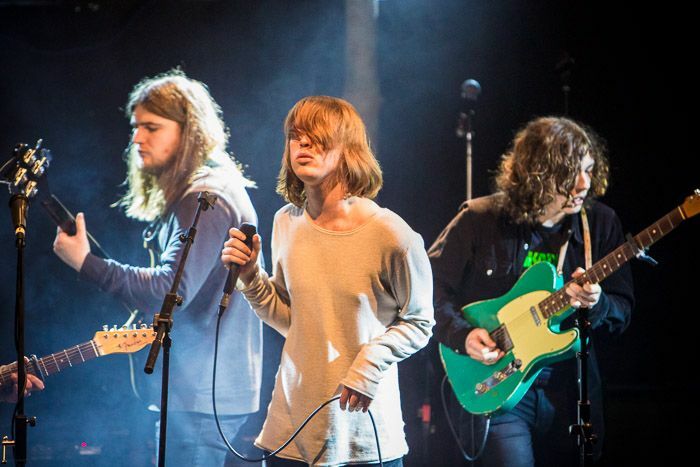 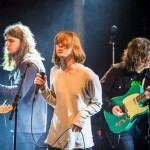 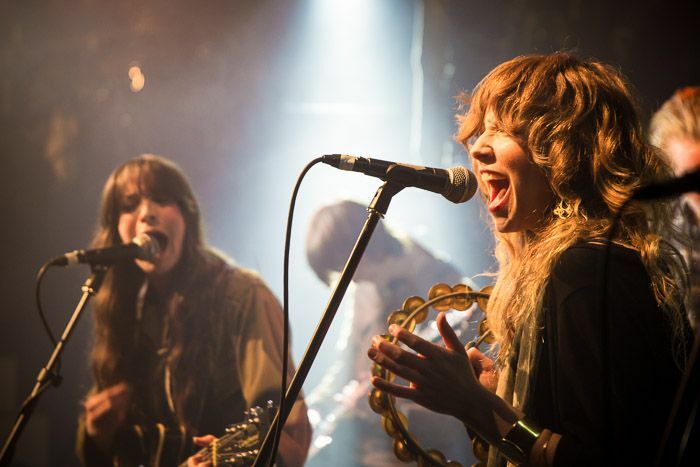 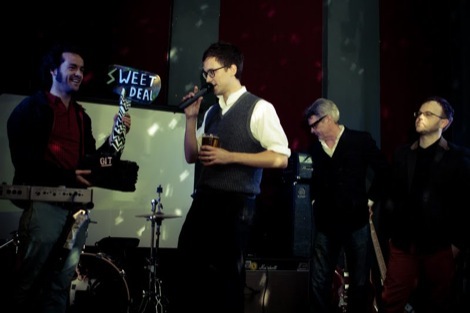 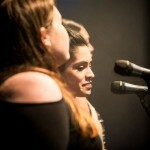 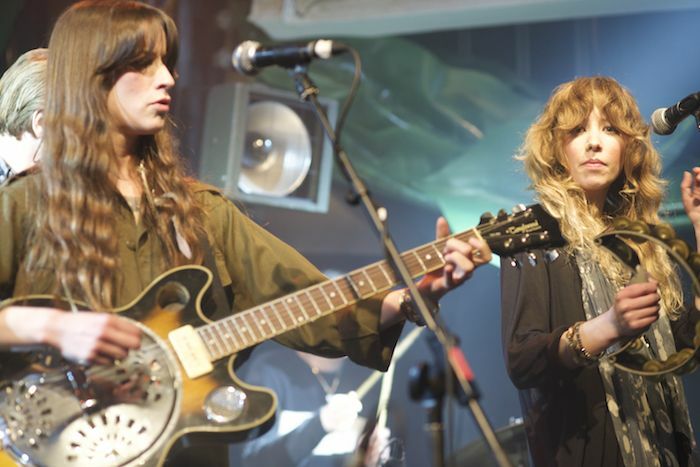 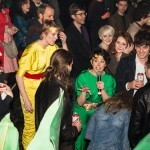 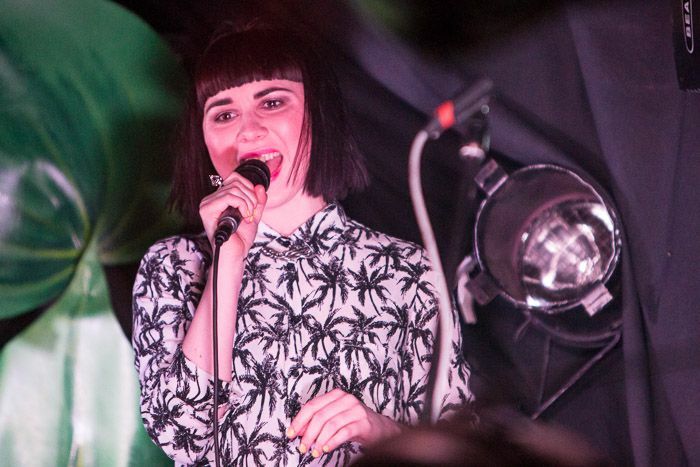 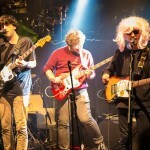 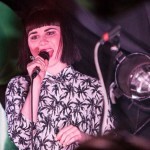 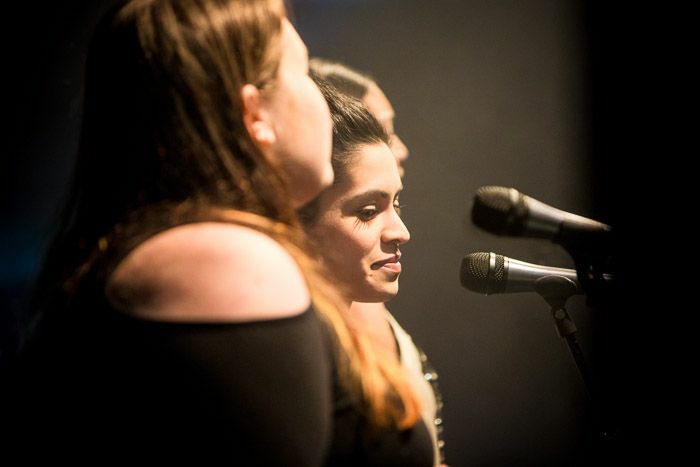 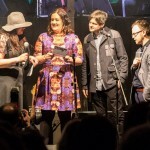 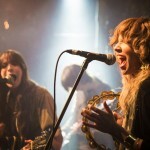 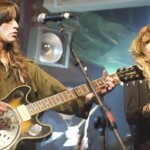 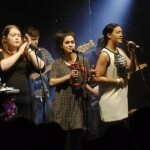 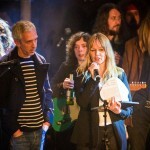 Although the band weren’t present on the night due to a support slot on the Vaccines‘ sold out UK tour, the award was accepted by Stealing Sheep’s Becky Hawley on their behalf after the band made a thank you speech via video. 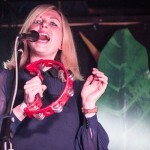 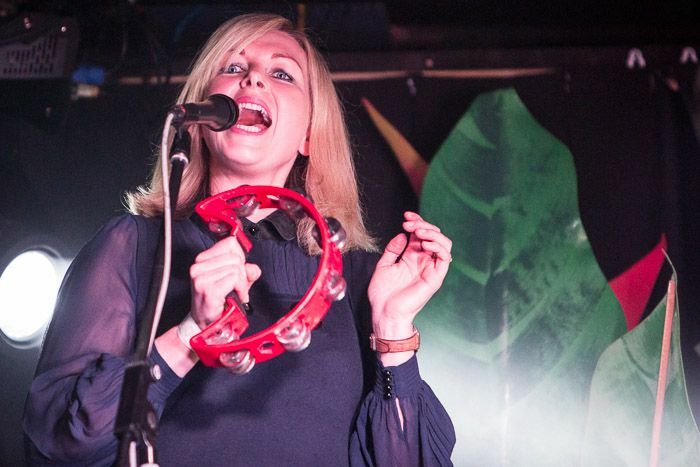 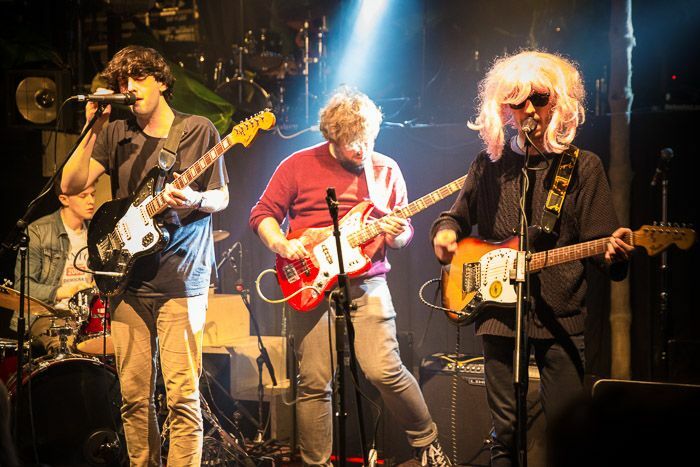 The band were selected from a shortlist of 12 which included All We Are, Circa Waves, D R O H N E, Gulf, Hooton Tennis Club, Roxanne Jones, Låpsley, Esa Shields, Sundowners, Xam Volo, Jane Weaver and We Are Catchers. 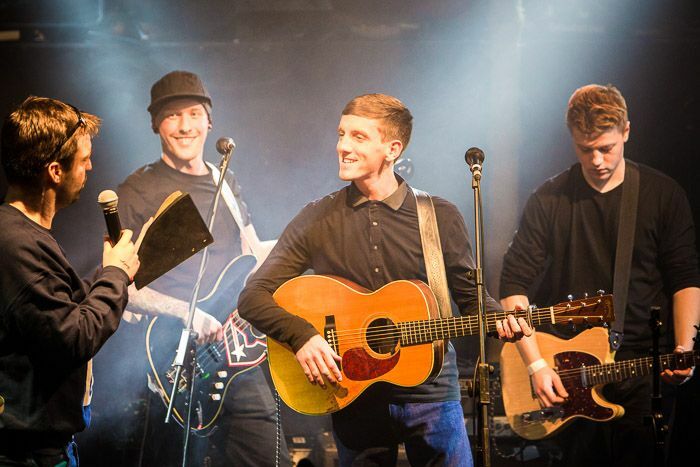 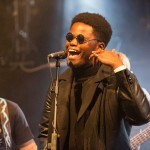 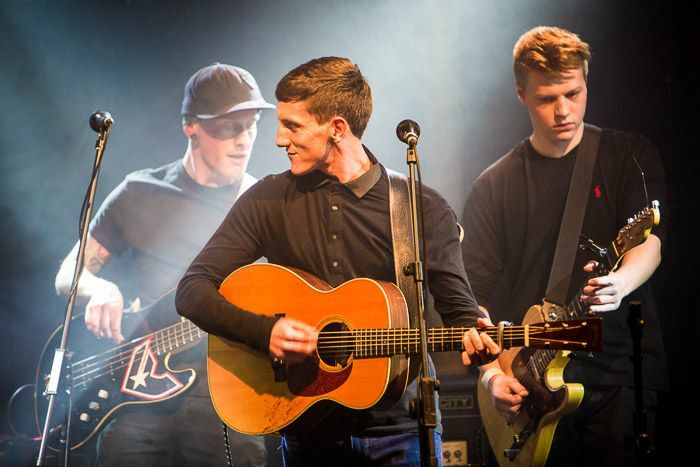 The achievement topped off what has been a great start to 2015 for All We Are having released their self titled debut album to high acclaim as well as touring Europe. 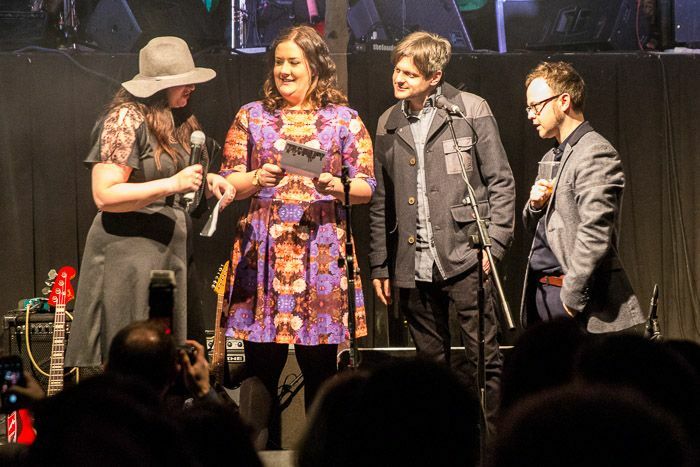 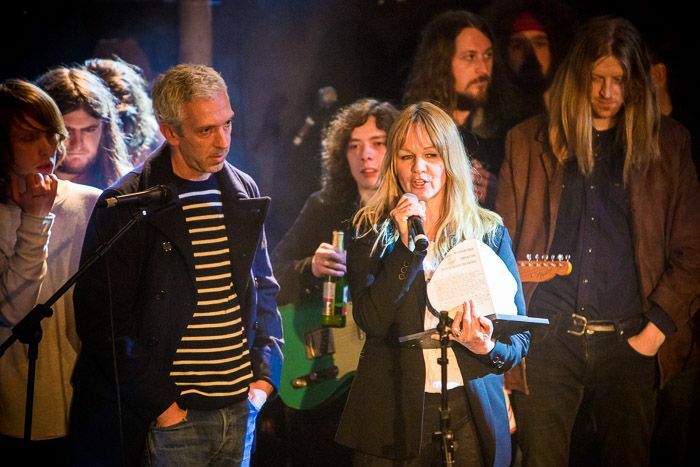 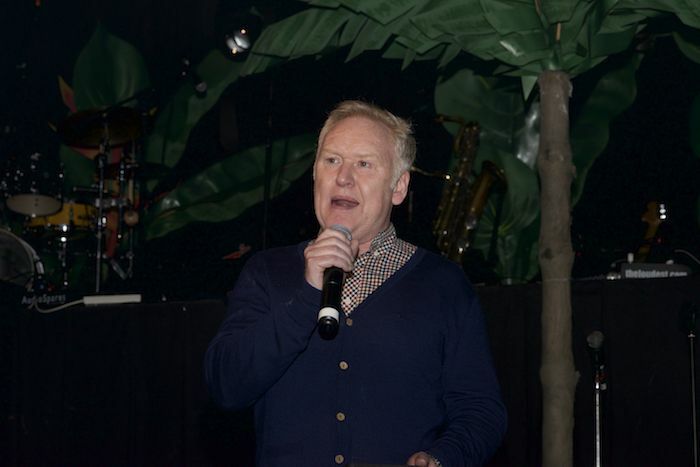 Earlier in the evening the Inspiration Award for recognising services to Liverpool music was given to Alan Wills of Deltasonic, who sadly passed away in 2014. 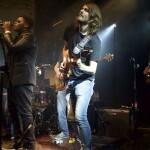 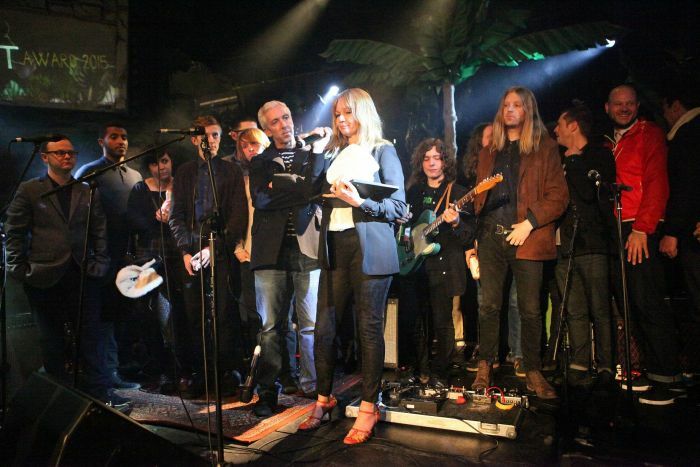 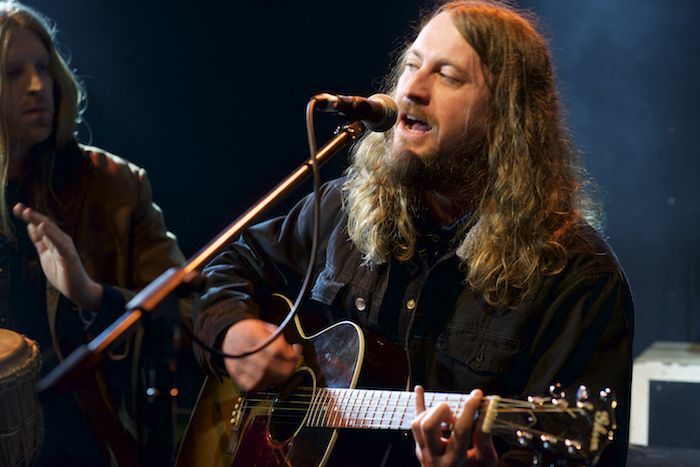 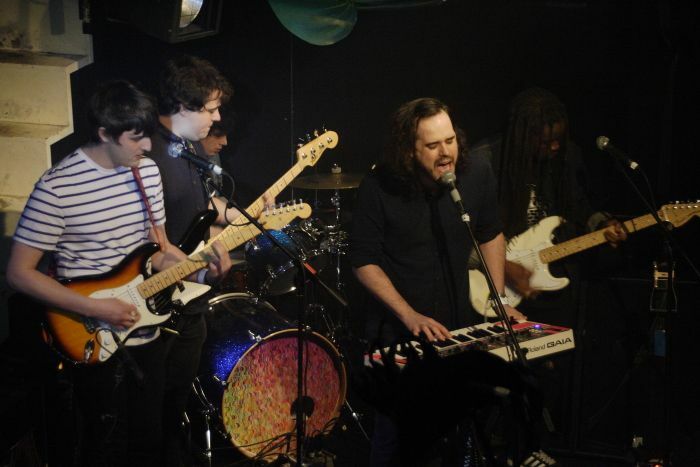 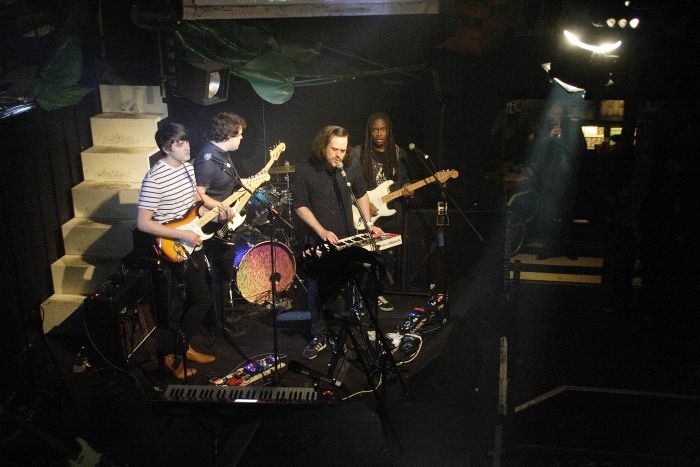 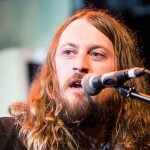 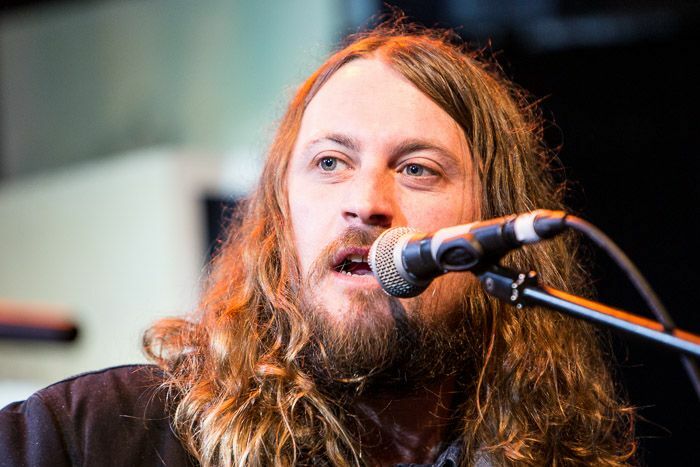 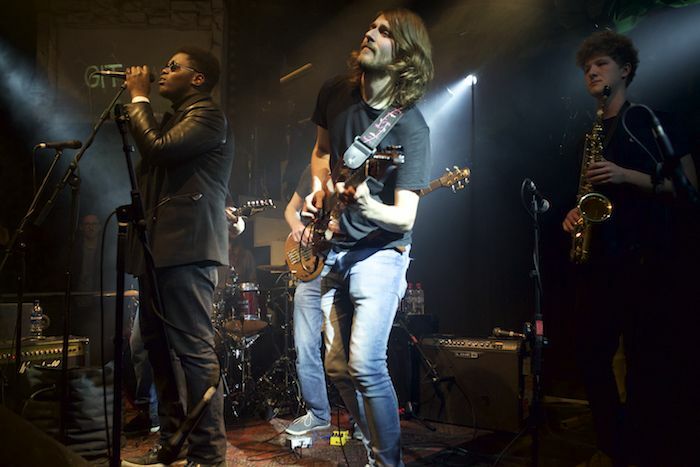 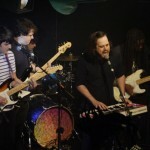 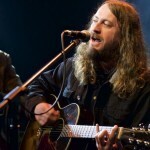 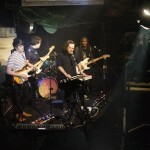 In tribute to him Dave McCabe and Ian Skelly performed a rendition of the Zutons’ Why Won’t You Give Me Your Love? 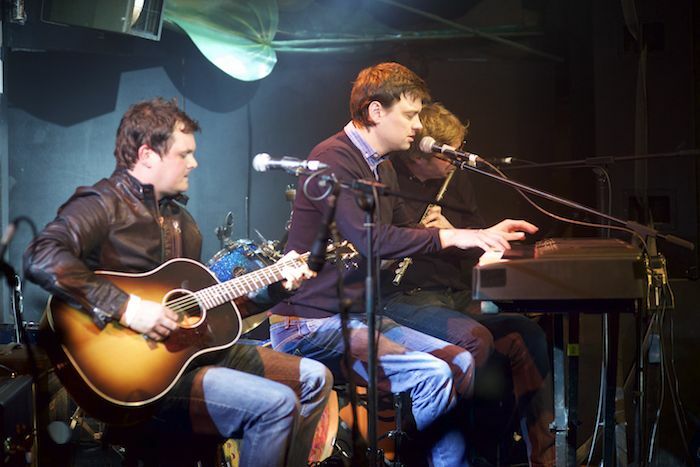 and James Skelly and Bill Ryder Jones reunited to play the Coral’s Shadows Fall. 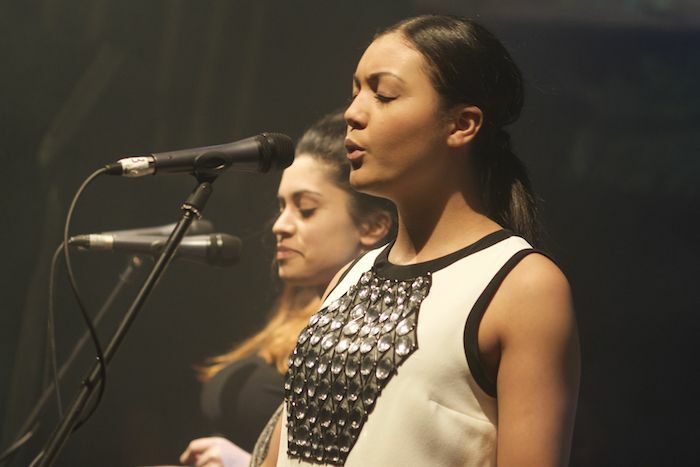 The Vryl Society, who are currently signed to Deltasonic also performed. 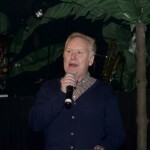 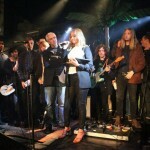 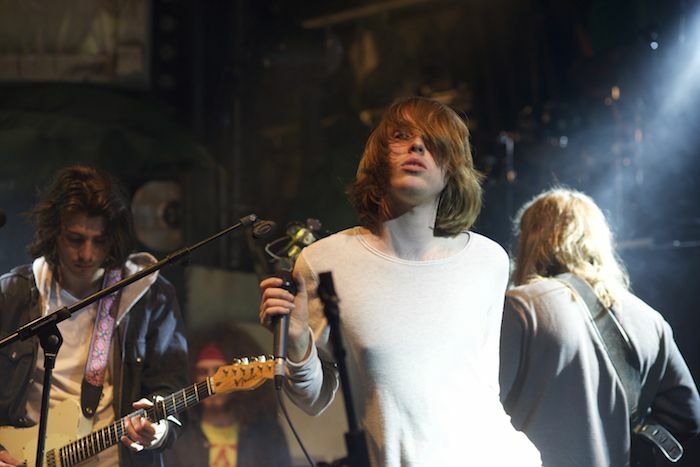 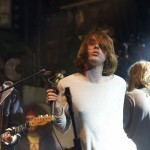 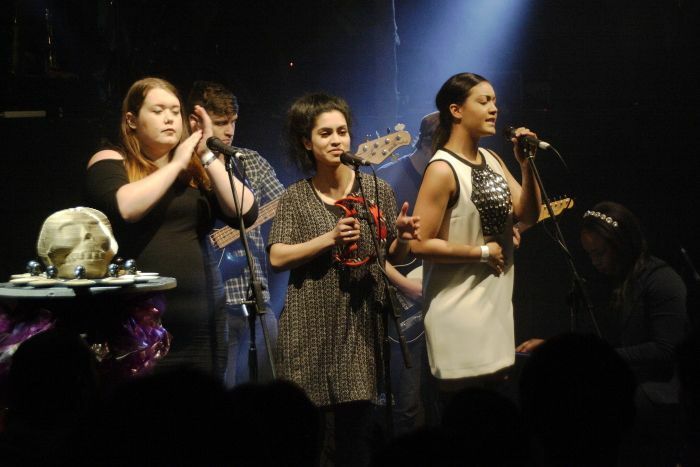 All acts dedicated their songs to Alan. 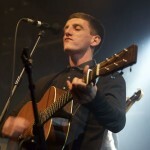 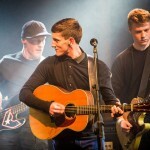 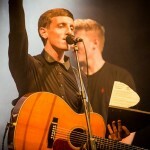 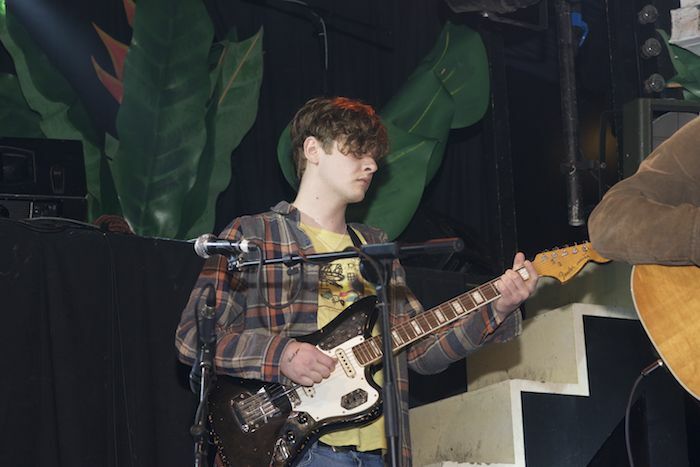 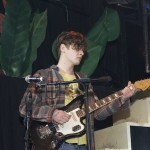 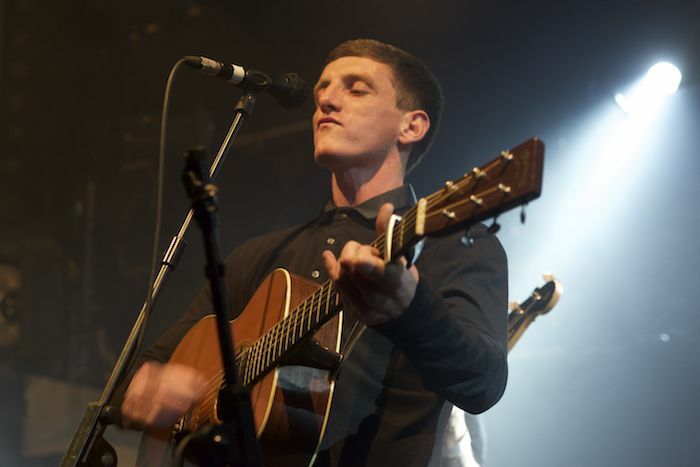 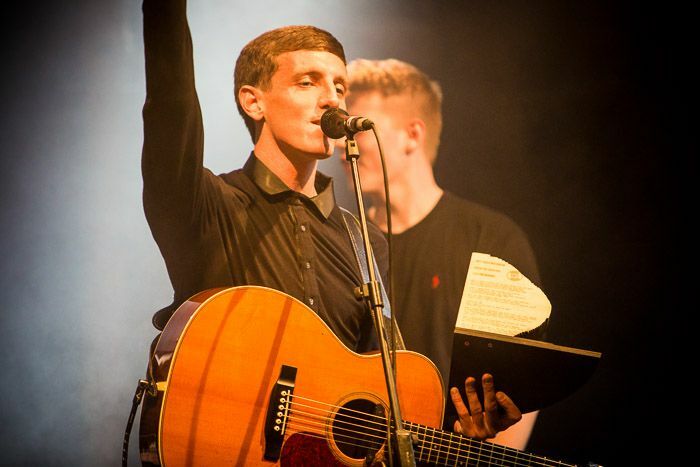 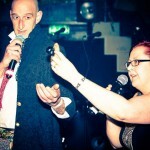 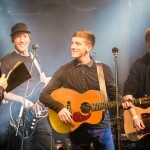 Earlier, the One to Watch winner Louis Berry gave a ferocious performance of his track .45 before receiving his award. 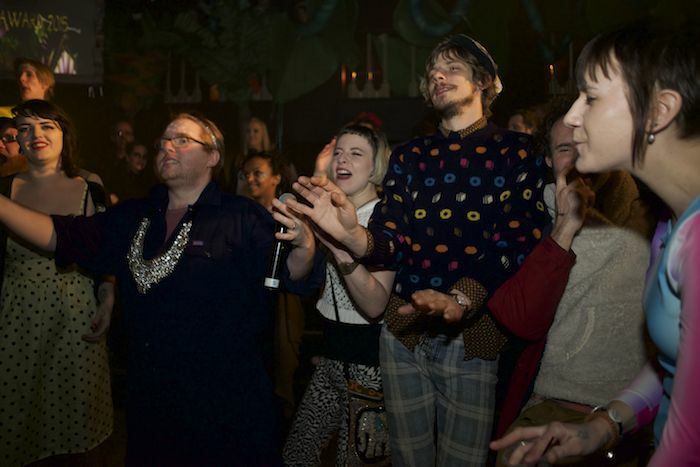 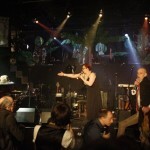 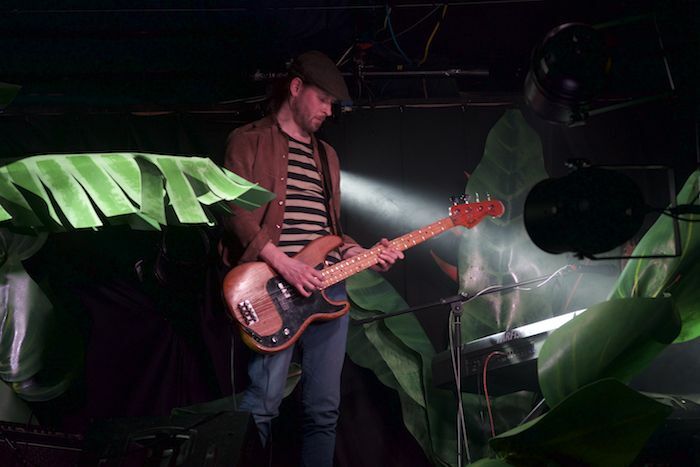 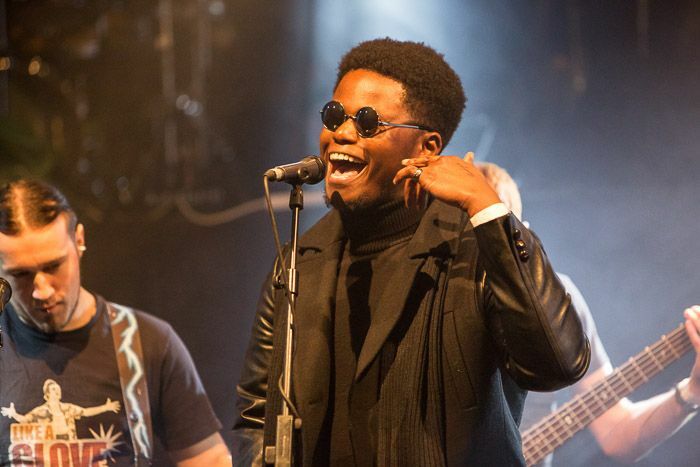 In a night of madness hosted by improvisational comedy group Impropriety, nine out of the twelve shortlisted acts gave brilliant performances, with house band Arkopsy performing throughout intervals with their weird but wonderful jazz sounds adding to the jungle vibes around the venue. 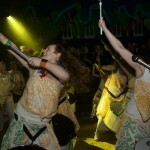 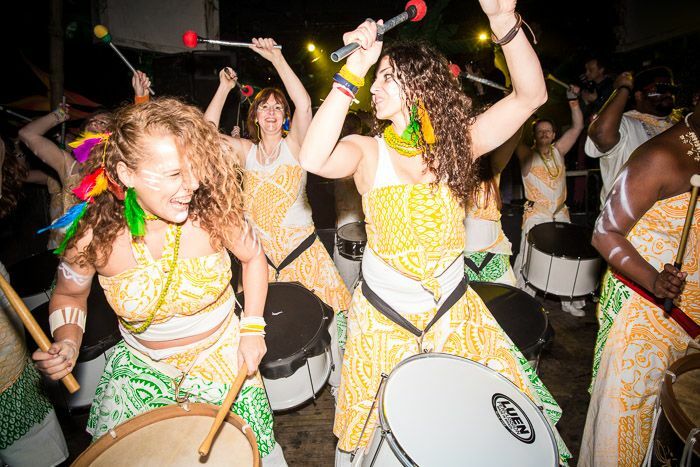 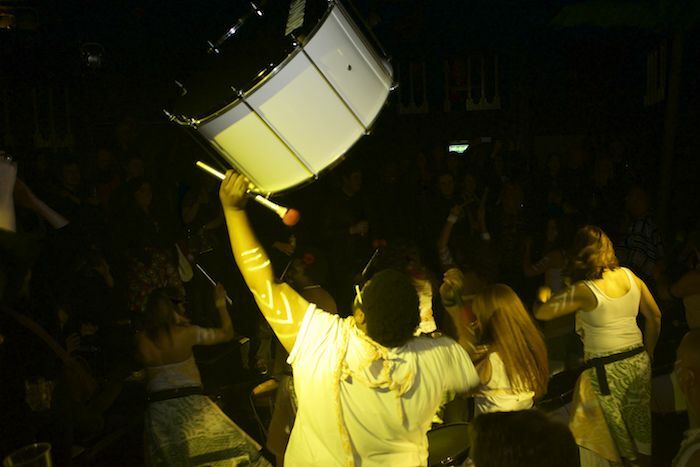 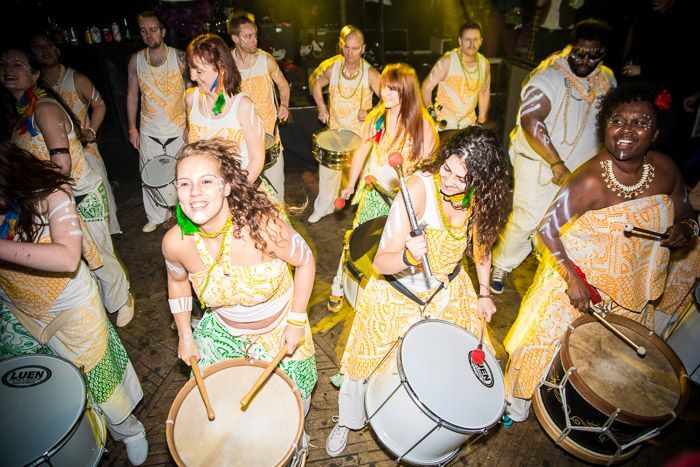 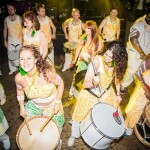 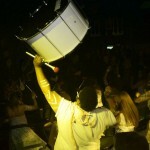 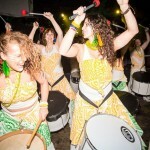 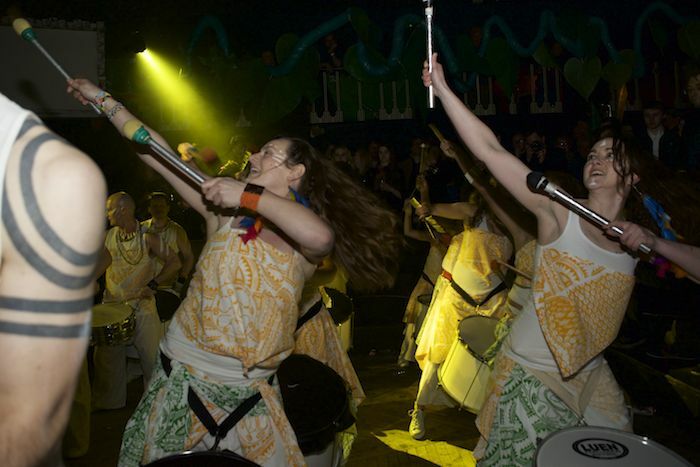 The night ended with a stunning performance from the spectacular Brazuka drummers. 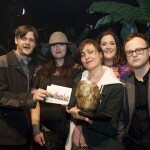 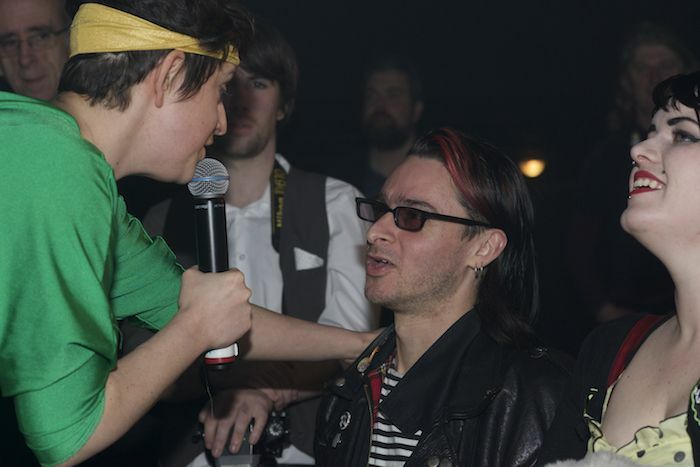 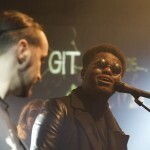 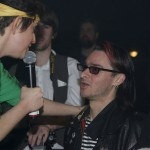 Each artist was presented with a small GIT Award memento, while the winners each received a segment of the gold skull trophy specially designed by ArchiPhonic. 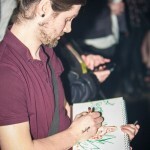 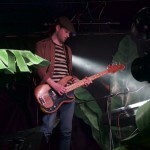 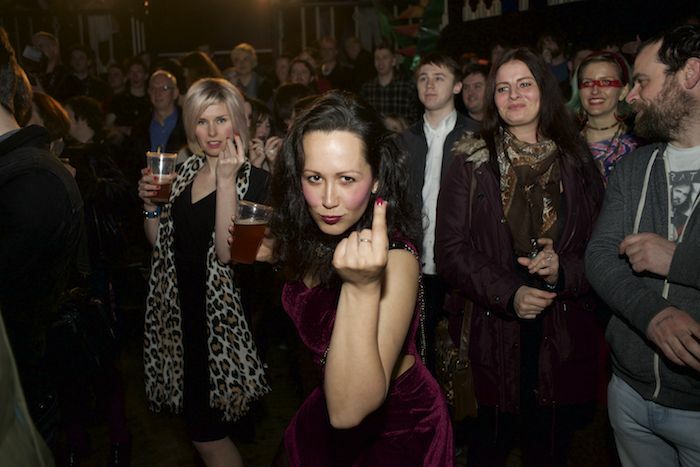 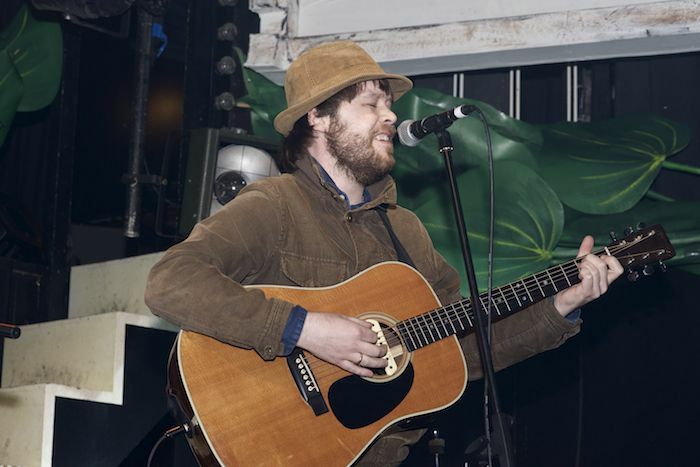 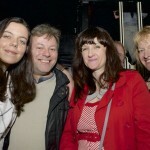 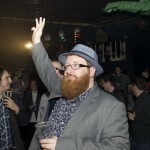 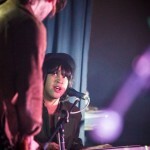 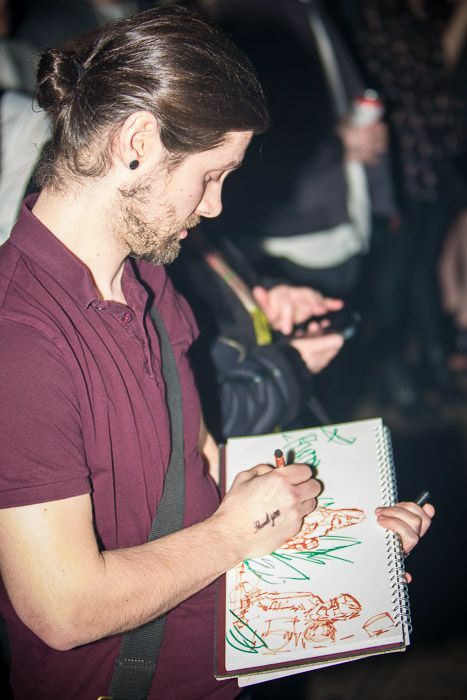 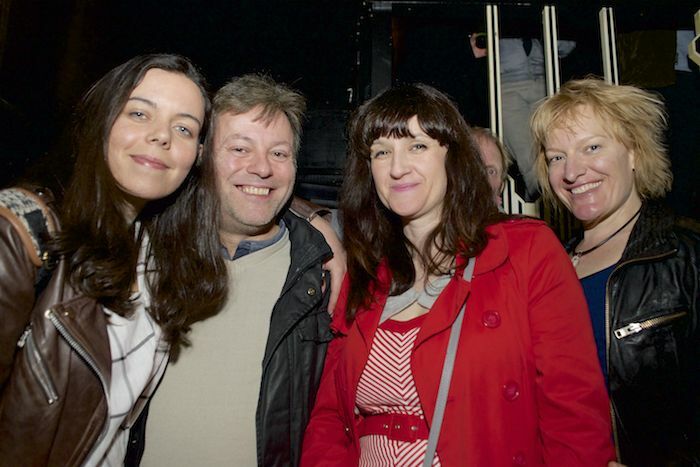 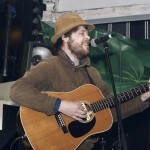 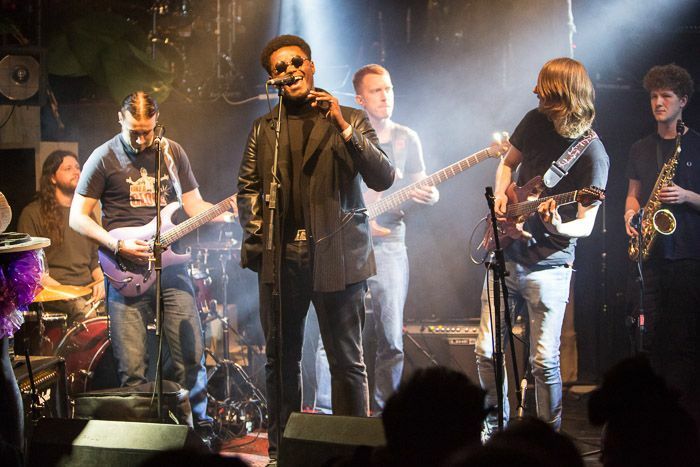 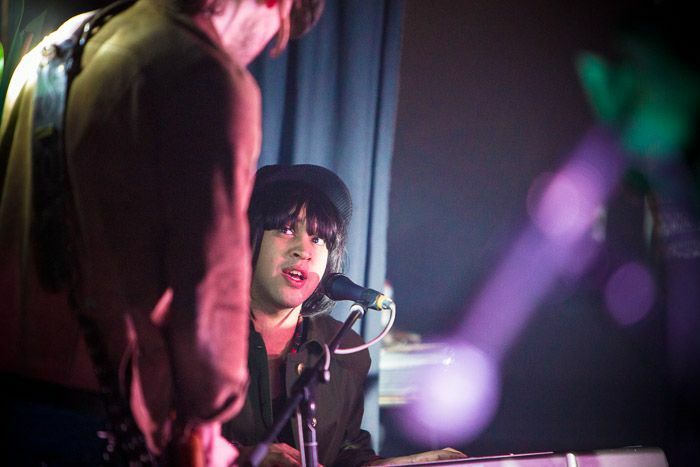 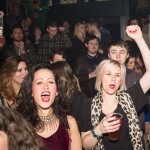 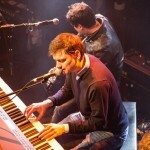 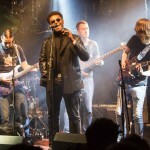 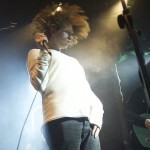 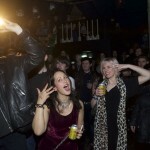 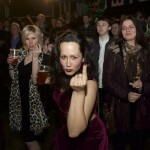 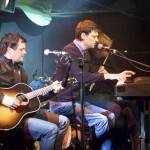 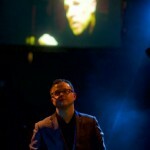 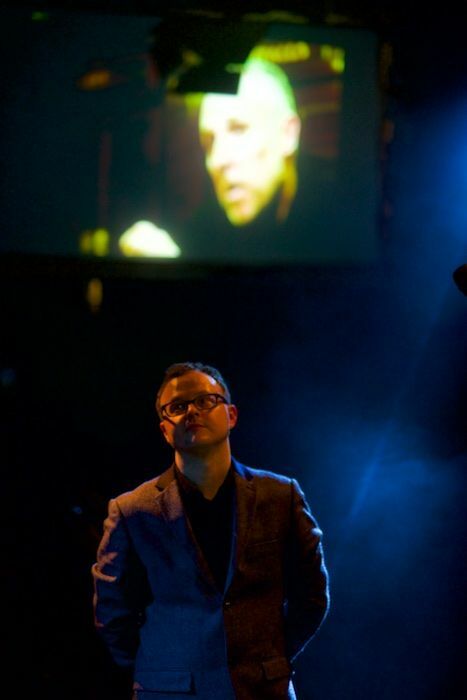 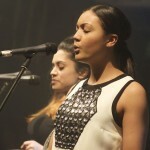 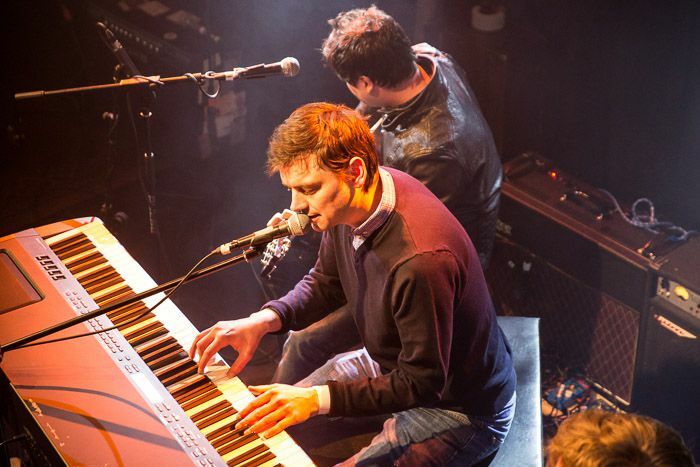 Pictures by Getintothis’ Martin Saleh, Keith Ainsworth and Glyn Akroyd. 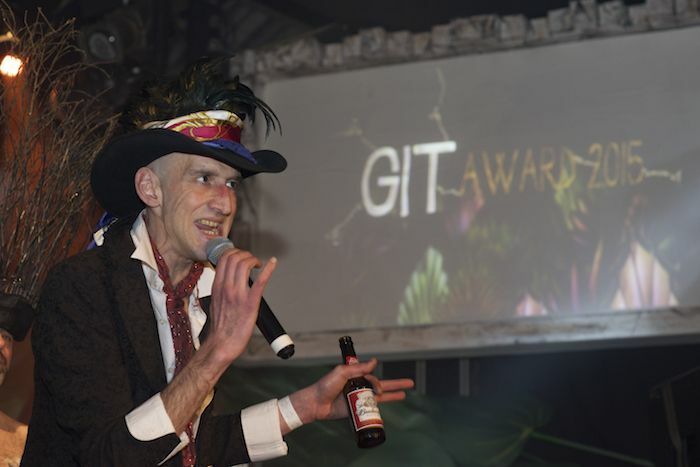 Peter alongside the 2015 GIT Award judges .